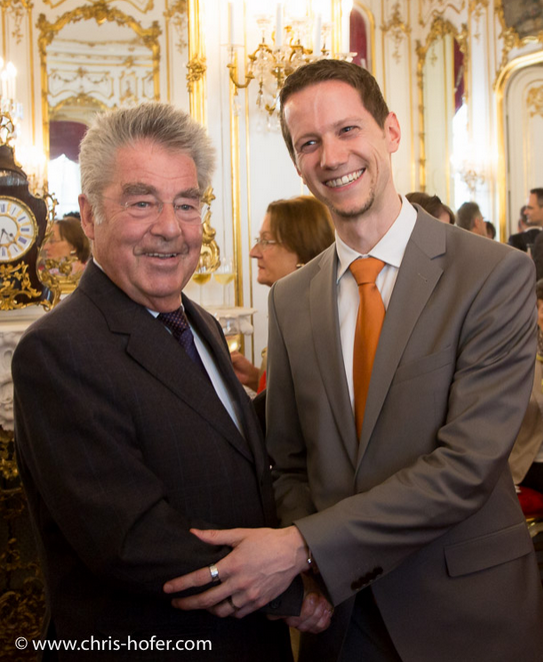 At a ceremony at the University of Vienna Bernd Resch (Z_GIS and Heidelberg University) on May 11 received the Theodor-Körner Award in the category of medicine, natural sciences and technology. The Price was awarded by the Austrian Ministry of Transportation, Innovation and Technology (bmvit). In his work, Bernd Resch focuses on assessing human emotions with a variety of sensors. He aims at finding out how human emotions can be used for urban planning. The Theodor-Körner Award is bestowed annually as recognition on outstanding scientific work of young scientists. 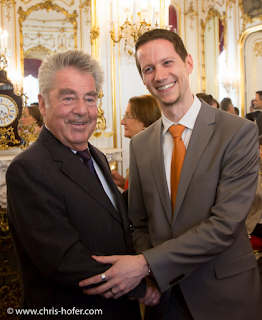 After the ceremony the Federal President of the Republic of Austria, Dr. Heinz Fischer, invited the laureates to the Wiener Hofburg.